Redefine style and grandeur with this exceptionally charming pair of dangle earrings. Linked to the artistically crafted fish hook backing is a glorious bezel set diamond solitaire that sparkles with all its glory. 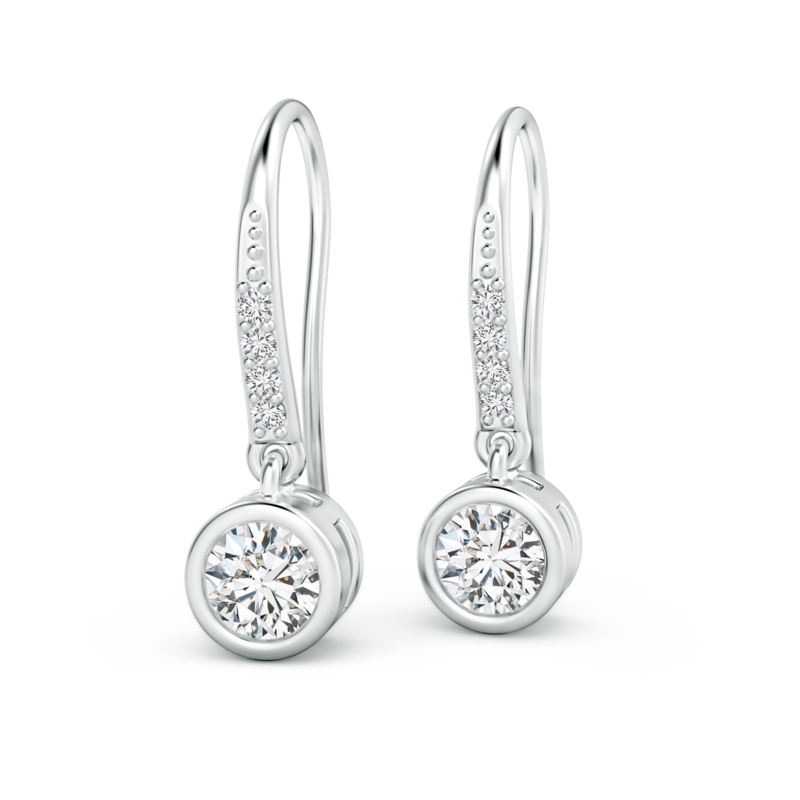 Lab diamonds also adorn the frame of the hook to infuse even more opulence into the design. The 14k white gold metal envelops the entire piece with its innate sophistication. The opulence exuded by this pair of beautifully designed lab grown diamond earrings makes it a wonderful option for those who have a penchant for classy jewelry.